Google OnHub is a residential router that connects all wireless devices in the home to the internet and to one another. Under its elegantly tapered cylindrical shape is an array of 13 antennas in a circle, providing ideal wireless signal performance. A gap between the inner and outer shells allows heat to escape and a status light to glow from within. Just plug OnHub to the Google On app to calibrate and optimize performance. 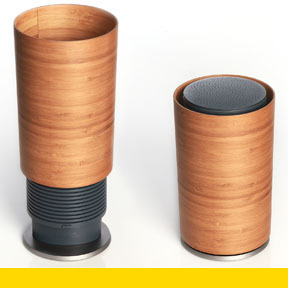 OnHub’s outer shell can be customized to match décor.